Lieutenant Colonel John Karaus, USA, (Ret.) is the Executive Vice President of Boneal Aerospace Incorporated. He is charged with providing strategic vision, organizational direction, and daily oversight of a profitable, growth oriented aerospace company that has become a market leader in providing supply chain management for Government and commercial entities. Additionally, as a member of the Boneal Enterprise Executive Management Team, LTC. Karaus’ has executive responsibility for marketing and business development across the Enterprise and is charged with bringing growth via acquisition, new program development, and geographic expansion. His Enterprise Business Development team is continuously developing new business avenues and strategies while simultaneously providing direct support to each business unit to assist them in achieving unit business goals. Since joining the Boneal team in 2004 John has been heavily involved in essentially all technical, operational and business development aspects of the company. In 2006 he was instrumental in formation of the 3rd Party Logistics business unit that now serves as integral component of the Boneal business portfolio. Boneal proprietary 3PL technology and software is now used daily to bring superior service and competitive pricing to a broad range of government and private sector customers. Prior to joining the Boneal Management Team in 2004 LTC. 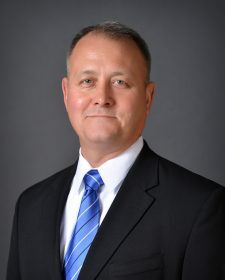 Karaus served 22 years in the United States Army as an active duty Aviation officer. He held numerous leadership and staff positions, primarily in Aviation line units and retired in 2004 at the rank of Lieutenant Colonel. LTC. Karaus’ has extensive staff experience in operations, plans, and training from battalion/squadron through Corp-level. BonAero’s leadership is comprised of talented and experienced professionals from impressive corporate backgrounds. We know how to develop and execute a strategic development plan and we are schooled in the principles of total quality management. Our years of networking have yielded a rich set of technical and industrial contacts and partners we can call upon to craft a total solution for your aerospace needs.